Get Your 28-page Custom Profile Today! 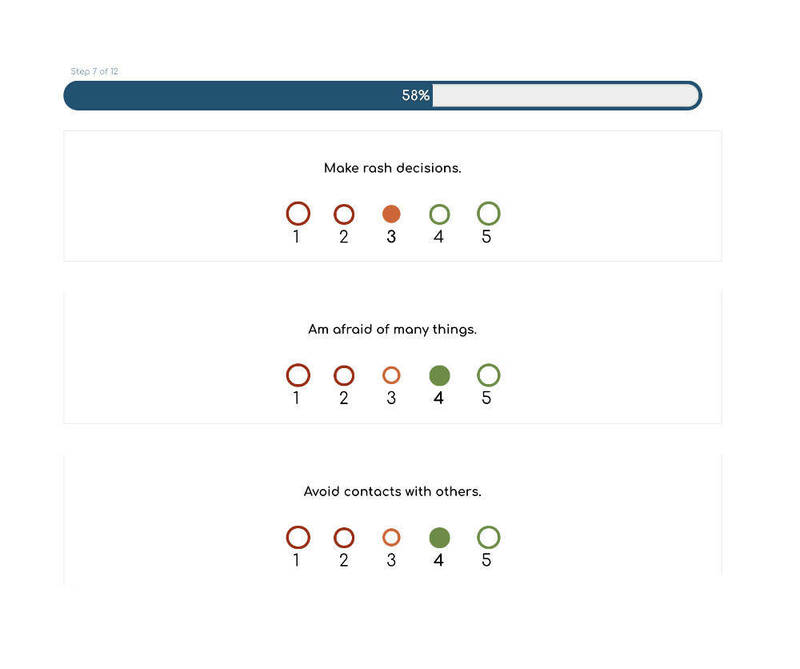 Our personality assessment is easy and intuitive, and only takes about 10-12 minutes to complete. Just respond to each short statement honestly and openly on a 1-5 scale from Very Inaccurate to Very Accurate. The progress bar lets you know how far along you are each step of the way. Our assessment is based on the Five-Factor Model of Personality, sometimes referred to as “The Big Five” personality traits: Extraversion, Agreeableness, Conscientiousness, Neuroticism, and Openness to Experience. Within these five major traits are 30 different facets of personality which are calculated in our assessment. Results include in-depth descriptions of each personality trait and facet, as well as custom descriptions based on your scores. The power behind the personality assessment is found when the results are combined with your spiritual gifts. When both tests are complete, your results page will include well-researched and Scripturally supported profiles that bring your spiritual gifts and personality together. These profiles include your strengths, potential weaknesses, a section on how to overcome weaknesses, and finally a list of suggested ministries for you to serve in. I especially loved how the results were given to us on the website, very detailed and easy to comprehend. Also, how it lists our strengths and weaknesses and how we can work on our weaknesses. Overall this test was a great helpful tool for questions we have of how our spiritual gifts work with our personality. Thank you so much. These results were spot on! I can see how my personality helps me in my ministry, and what things I need to be aware of. This is a great tool! 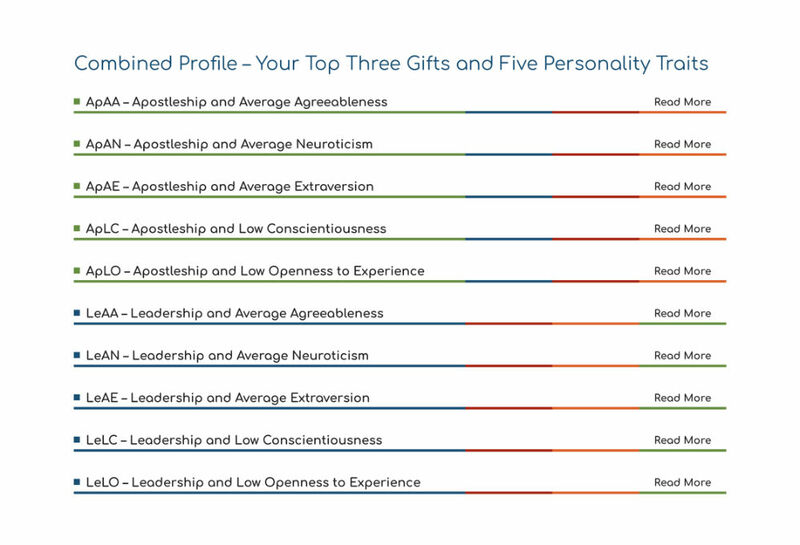 Reading the descriptions of how my personality and spiritual gifts go together was eye-opening. I never knew how important they were until now. This assessment has blessed me, and I want to thank you putting it together. I am sure it will help many others as well. God wants to use you and has chosen you to live a fruitful life for Him. Ephesians 2:10 says, “For we are his workmanship, created in Christ Jesus for good works, which God prepared beforehand, that we should walk in them.” Clearly God has amazing plans for you, but now it’s up to you to take the next step.